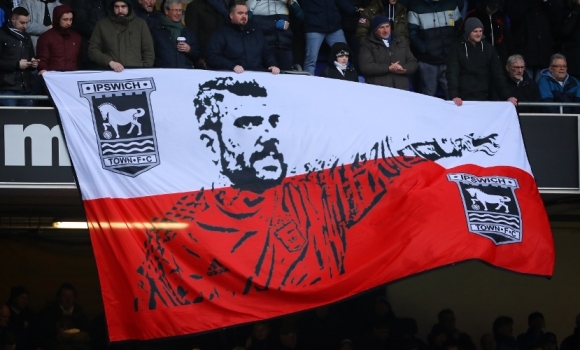 Blues keeper Bartosz Bialkowski met with Poland manager Adam Nawalka following yesterday’s 0-0 draw with Burton Albion, according to the Polish media. Yesterday, TWTD revealed that Nawalka and his assistant Tomasz Iwan were at Portman Road to watch the 30-year-old in action. Przeglad Sportowy reports that the Blues keeper held talks with Nawalka following the game in which he kept his second successive clean sheet and made two vital second-half saves. While two of Nawalka’s World Cup keepers look nailed-on certainties - Wojciech Szczesny (Juventus) and Lukasz Fabianski (Swansea) - the third space in the squad travelling to Russia is more open with one leading candidate, Roma’s Lukasz Skorupski, currently not playing games. Bialkowski won six U20s caps as a youngster but is yet to be involved with his national squad at the senior level. A call-up in the friendlies between now and the summer seems likely when he could become the first player to win Polish caps while with the Blues. Poland host Nigeria on Friday 23rd March, then South Korea the following Tuesday, Lithuania on Tuesday 12th June, four days after a fourth home game against so-far unnamed opponents. The 23-man squad for the World Cup is due to be named on Tuesday 5th June. Poland were drawn in World Cup Group H along with Senegal, Colombia and Japan. Please sign your new contract Bart. Good for him, think Bialkowski deserves a chance with his national squad. This is good news for Bart and very well deserved. My only concern would be if the Polish boss told Bart that he needed to be at a more high profile club in the Premiership, to have a realistic chance to push on and advance in the national team. Or even just a high profile Championship club. A struggling, flattering-to-deceive, going-nowhere second tier club could hold him back - sadly. I am so pleased for Bart,a credit to this football club. I do hope the delay in signing his new contract,is not because Evans is penny pinching.Chambers Scuse and Knudsen have all signed because they know that under McCarthy they would always get a game,but would struggle to stay at this level of football if anybody would take them;whilst it is the opposite for Bart. At least he is constantly in action while playing for Ipswich, think we would be close to the bottom 3 without Bart. If you was Bart would you stay? Our only chance of keeping him, is because of his family. ME knows this and is probably penny pinching like someone else has said. Anyway, could stay in Ipswich if sold to Crystal Palace or West Ham. Both or these sides need a goalie. Just saying, they announced it before Wolves (H) aswell. Probably told he must be at a Premiership club before he'll get into the squad. Don't think BB signing the contract is in any doubt. MM on Friday: “He’s going to sign that, there was nothing wrong with the contract, it was just getting it done and getting the agent down and signing it up." Think Bart's agent is based in Poland. Phil - if you were Bart, wanting to play for Poland at International Level, would you sign a new contract? I’d leave and go to a better club - preferably one I didn’t bail out week on week. I don’t remember many clubs kicking down Ipswich’s door to sign BART......... and he seem happy at Town. But on the other hand if he did sign for a Prem side or a better Championship side that would make him a world class keeper and make him number one above the other four keepers that lead the way in The Polish side. Can't see him pushing Szczęsny of 1st choice he is in amazing form. of Europe's top level's - even the Polish top Ekstraklasa. Hope to see you in Russia Bart.